Because most people have and carry a Smartphone all the time and patients need to make a emergency call after injection, use Smartphone as a reminder and deflect the medical fear. 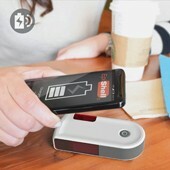 Since power charging is always significant for Smartphone use, the integration of Epi-pen and the portable power charger with wireless connection to Smartphone leads to the final solution. EpiShell is a user-centered solution for the Epinephrine injector carriers with the intention to deflect users fear for using an injector, to remind the patients of carrying it daily and more intuitive to perform an injection. 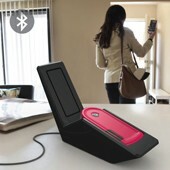 It features integrated wireless mobile charger, Bluetooth connection and voice guidance. 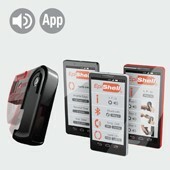 Voice guidance is activated from the cell phone once EpiShell is opened. Only three steps to perform the injection. Through the App, users can easily manage its functions, like IFU, Bluetooth connection, Emergence contact and Refill/Exp. date Reminder. Charge the cell phone by simply placing it on the top of EpiShell. It plays more than a medical device in patients’/carriers’ daily life but a friendly life helper. The colors of the LED button indicate battery status. The device contains the wireless charging battery and the Bluetooth connection technology. The outer case and the injector structure can be manufactured by injection molding with the ABS and Acrylic material. Since people know it is an injection device, scared to use. It will be scarier for a patient or a child to ask him/her to carry it every day and use it when allergic reactions happen. Can the solution reduce the patient’s medical fear and meanwhile increase their motivation to daily carry their Epinephrine injector? Epishell Epinephrine Injector by Hong Ying Guo is a Nominee in Scientific Instruments, Medical Devices and Research Equipment Design Category. · Click here to register today inorder to be able to view the profile and other works by Hong Ying Guo when results are announced. Epishell Epinephrine Injector by Hong Ying Guo is Winner in Scientific Instruments, Medical Devices and Research Equipment Design Category, 2013 - 2014. · Press Members: Login or Register to request an exclusive interview with Hong Ying Guo. · Click here to register inorder to view the profile and other works by Hong Ying Guo. Did you like Hong Ying Guo's Medical Product Design? 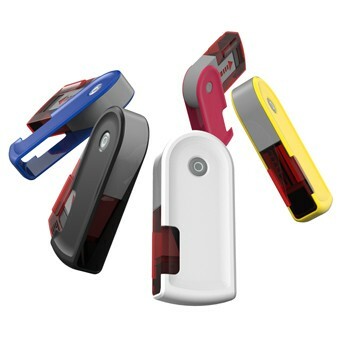 Did you like Epishell Epinephrine Injector? Help us create a global awareness for good medical product design worldwide. Show your support for Hong Ying Guo, the creator of great medical product design by gifting them a nomination ticket so that we could promote more of their great medical product designs.